Previously unreleased DIY homemade psychedelia, teenbeat and fuzz–psych/prog by this amazing Swedish band, 1965–1971!! Tracks like "Third Image" or "Look at the stars" are an incredible find for anyone into US garage–psych (they wouldn�t sound out of place on any Pebbles or Psychedelic Unknowns volume!) and others like "Flicka", "Stolta Vingar" or "Mittuppslag" are top notch �70s fuzzed out Scandinavian psych/prog. We can�t believe that such fabulous stuff has remained hidden in a carboard box until now. Formed in the industrial town of Norrköping in the mid �60s, Cymbeline (also known as Motala Ström and W&J) only released a 45 in 1971 before breaking up. But during their existence, the band recorded a lot of stuff, included here for the first time along with their rare 45. 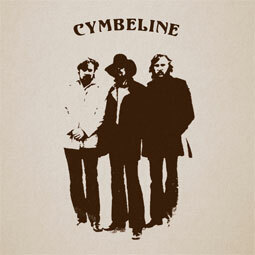 Cymbeline was basically two guys, Michael Journath and Anders Weyde, who met in 1965 while they both played in beat bands. They started recording songs at Anders little home studio with help with some friends and that�s how songs like "Imagination" and "Look at the stars", amazing examples of homemade teen–beat, were born. At the same time, Michael and Anders were feeling a bit tired of playing cover versions with their beat bands so decided to start recording more experimental stuff, using armchairs and furniture as percussion, sounds from seagulls and birds, an electric cocktail mixer, improvising lyrics...these incredible experiments were recorded as "Images", including the killer garage–psych sounding "Third Image". As the years passed by, the home studio improved and new songs were recorded in a more psych–prog vein, some of them included here. There also played a few live gigs with some help from other local musicians. In 1970, Ulf Ryberg joined the group and soon after a 45 was released containing his song "New York". The flip side was "Sixth Image", originally one of the "Images" but rearranged and re–recorded. In 1971, demos for an LP where recorded at Europafilm Studios in Stockholm. Two fantastic songs are included here and the sound is different from the earlier recordings – closer to the groups live performances. So, 40 years later, here�s the LP that Cymbeline always dreamed of. *Remastered sound *Insert with photos and liner notes by band member Michael Journath.